Minecraft Education Edition, courtesy of Mojang. Less than two years after it announced plans to acquire the developer of the wildly popular game Minecraft, Microsoft says it will buy a school-friendly version of that platform. The American technology giant said Tuesday it is acquiring MinecraftEdu and investing in a “new and expanded” game platform for schools called Minecraft Education Edition. Microsoft did not disclose the cost of the deal. But in an online post explaining the acquisition, the company’s vice president for worldwide education, Anthony Salcito, described the move as part of an effort to give students educational options that engage them and help them learn at their own pace. “By creating a world and then advancing in it, students can learn digital citizenship, empathy, social skills, and improve their literacy — while getting real-time feedback on their problem-solving skills from the teacher,” Salcito said. Many educators have already bought in, Salcito argued: Minecraft is being used in more than 7,000 classrooms in more than 40 countries. Minecraft is a game that brings users into a virtual world but doesn’t give them a set script. They’re given tools and invited to build and create — in the core game, using building blocks — exploring and taking on myriad challenges, from simple tasks to survival. Salcito cited examples of teachers around the world using Minecraft in their classrooms to introduce content, reinforce lessons, and draw students into unfamiliar topics. Students in New Zealand, for example, have used Minecraft to learn about the harrowing, famed 1915 battle of Gallipoli — in which New Zealanders served — using the game to reconstruct the landscape. Elementary students in Scotland, Salcito said, are using Minecraft to reinvent and redesign the city of Dundee, using engineering. 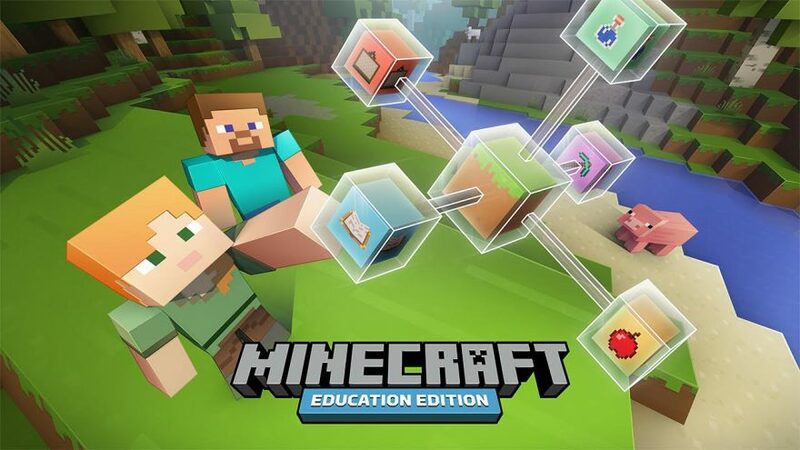 The expanded-look Minecraft Education Edition will be available for a free-trial this summer, Microsoft said. The company intends for the product to be “shaped by a growing community of educators” during a development phase this spring, and through an online community found through the platform’s Web site. Microsoft’s efforts to promote the site, Salcito said, will include a new “Minecraft Mentors” program, devoted to matching educators with experience using the game with those taking their first online voyage with it. In the fall of 2014 Microsoft announced that it was buying the developer of Minecraft, Mojang, a company based in Stockholm, Sweden, for a reported $2.5 billion. The deal amounted to a huge addition to the Redmond, Wash.-based tech corporation’s menu of gaming products. Minecraft has long been popular in the K-12 arena among teachers who use it to supplement lessons, particularly when they want to build problem-solving and critical thinking skills in studnets. Mojang had described MinecraftEdu as a “school-ready remix” designed to support the game’s use in educators, backed by teachers supporting each other. The company’s classroom version includes licensing options, dedicated servers, and security controls designed to appeal to schools. At the time of the deal, Microsoft pledged to “nurture and grow” Minecraft and maintain the core features that its audience loved. As my colleague Ben Herold reported recently, teachers across the U.S. have been finding creative ways to use the game to teach everything from physics to historic preservation. By one estimate, Minecraft is the second-most-played computer game in the Western world, and in North America and Western Europe, 36 million people play it. One of the obvious questions about Microsoft’s purchase of Mojang was how adding Minecraft would affect Microsoft’s reach in schools. Microsoft has traditionally been a major provider of operating systems to K-12 districts, but it has faced increased competition in that area. It remains to be seen whether the new Minecraft-for-schools effort will find a major audience. Microsoft officials told the New York Times that the company will charge $5 per student a year for the education version of Minecraft, plus a server fee and a one-time charge based on the maximum number of students using it at any one time.